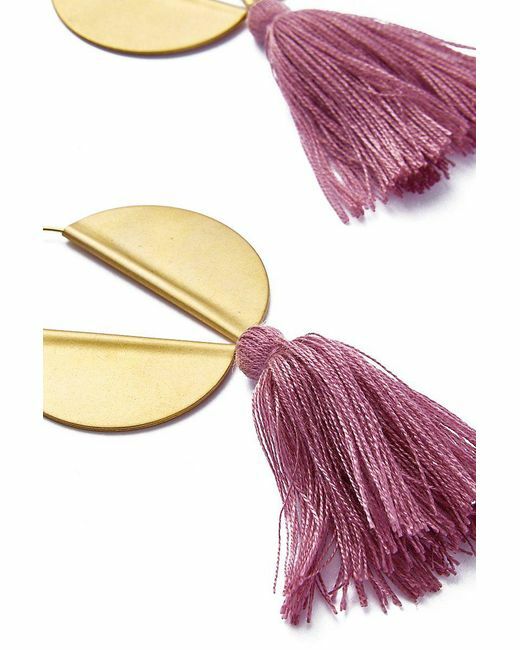 STYLE: Abstract gold-toned winged hoop earrings with large plum tassel. 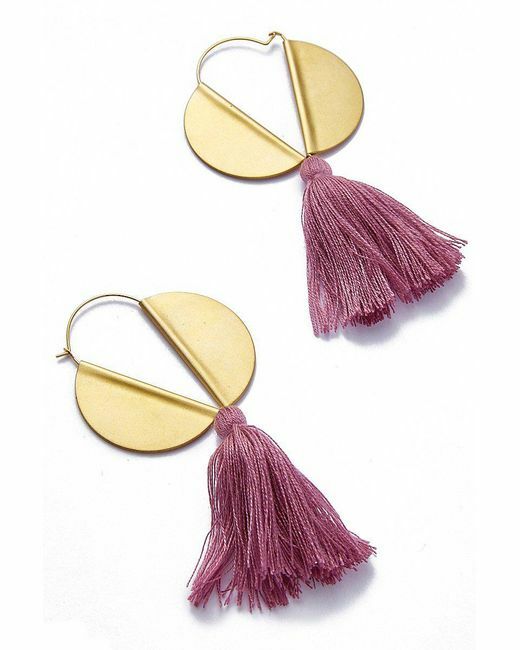 Classic hoop earring design is split with two solid semi circles and trimmed with a handmade purple fringe tassel. 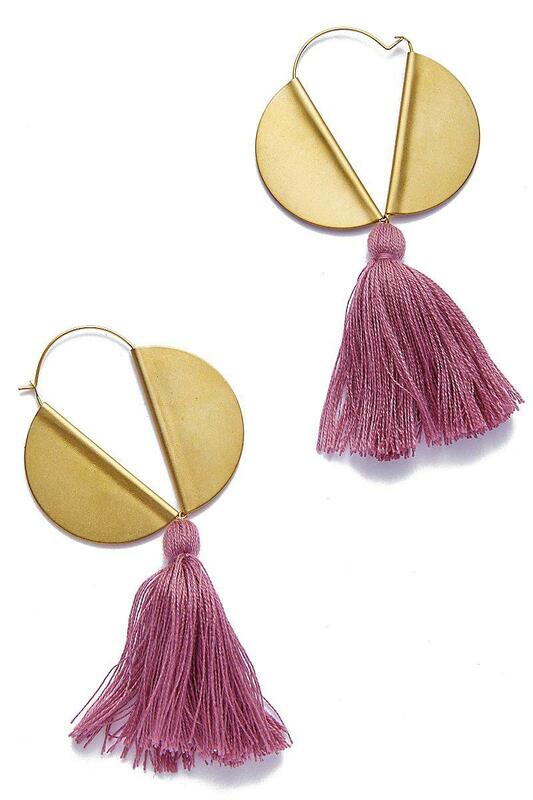 Hand-hammered gold-plated brass has a muted metallic finish. 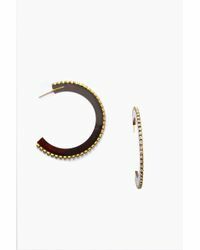 Easy hook closure keeps the earrings in place without the need for an earring back. 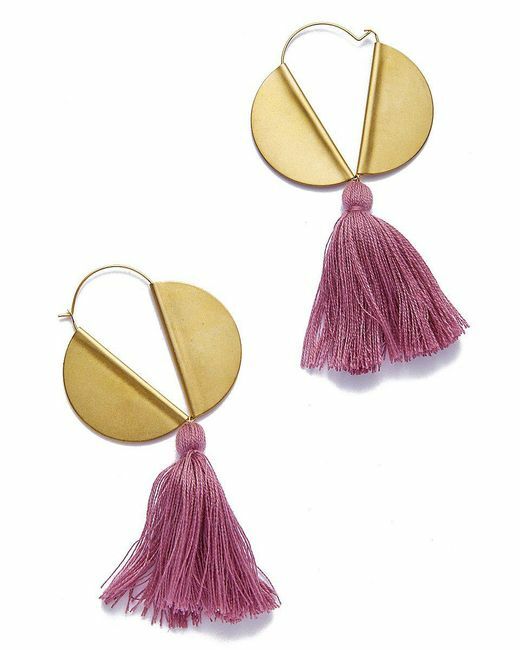 The geometric statement earrings are handmade in Brooklyn, USA. 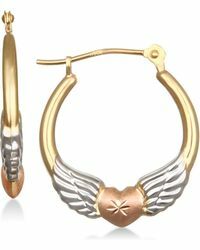 CARE: Keep the earrings from coming into contact with water, lotions, and oils to avoid loosening the threads or tarnishing the metal. Gently rub the gold surface after use with a cotton ball or soft cloth to prevent fading and maintain shine. Store gold and silver separately to avoid chemical reactions that can tarnish the metals.